Every year, dozens of Star Wars books are released. Novels, comics, encyclopedias, and more. But there’s only a few that really delve into the material. 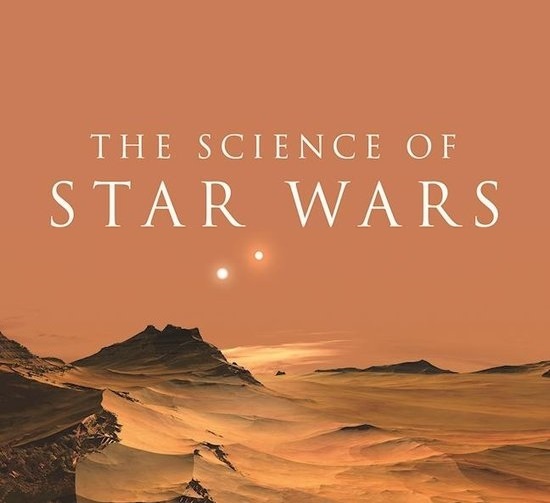 This book – full title The Science of Star Wars – The Scientific Facts Behind the Force, Space Travel, and More! – does exactly that. It looks at technology from the Galaxy Far, Far Away and determines if it might be useful to us in the future. It demonstrates the effect Star Wars has already had on scientists. And it calculates just much Galactic credits Emperor Palpatine must have spent building his elusive Death Star. All of this is written in a style that’s easy to follow. As the back of the book says, you don’t need to be a Jedi or a scientist to appreciate all of Mark Brake and Jon Chase’s fun and informative analysis of this classic series. However, you do have to be somewhat invested in reading this book. It’s not something you’ll be reading a chapter from every night before going to bed. Some questions are delved into deeper than others, but all of them will give the reader something to ponder. So take your time when reading, or you won’t get the most out of this book. The Science of Star Wars isn’t the first book with this subject matter. In fact, it’s not even the first book titled The Science of Star Wars. It ís the first one that uses The Force Awakens and other material from the new canon to make its points. Kylo Ren, BB-8, and even a forgotten comet from the Aftermath novel are all referenced and ponderd. Such references are certainly a great addition to this type of book, making it a study of the whóle universe. The main question is of course whether or not this study is actually useful. The answer: partially. The authors don’t always have answers to their own queries… but that’s not always really the point. More important is the reader getting something out of it in terms of material to ponder. And a majority of chapters succeed in giving you something to think about. Questions like “What exactly is the Force?” will make the philosophical braincells go into overtime. But it gets even more interesting when Star Wars is used to reinforce the science in our own world. Chapters like “How has Star Wars influenced space culture and space travel?” are highlights of the book, pointing out several real scientific projects that strongly resemble concepts first seen in our favourite film series. And “How could droids like BB-8 help us explore Mars?” provides interesting speculation about the future. All in all, The Science of Star Wars is an interesting look at the Galaxy Far, Far Away. But it’s not for everyone. Don’t give it to your little brother this Christmas… But maybe consider jotting it down on your own wishlist! THANKS ARE IN ORDER FOR SKYHORSE PUBLISHING, WHO WERE GENEROUS ENOUGH TO SUPPLY A COPY OF THE BOOK FOR THIS REVIEW. THIS REVIEW ORIGINALLY APPEARED ON STAR WARS AWAKENS, THE DUTCH STAR WARS FANSITE. Next Who is Sabine’s mother?